Princeton Council focused on parking once again at their Monday night meeting, and decided to expand the range of parking options in town by at least 150 spaces. 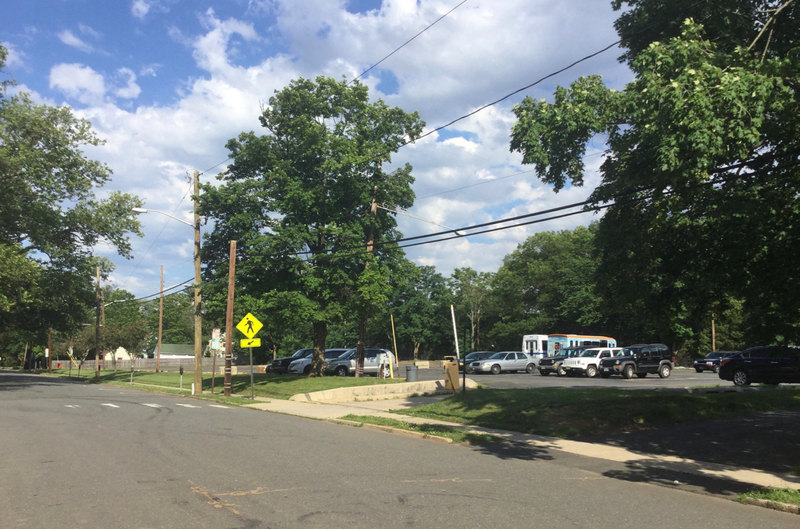 Specifically, Council decided to start charging for parking at the Franklin Avenue parking lot, which formally was used for staff and visitors to the old Princeton Hospital, but which has lain empty for several years since the hospital moved to Plainsboro. Long-term, this site is going to be used for affordable housing, but Council decided that people should be allowed to pay to use it as daily employee parking for one to two years, before construction of the new housing begins. The Franklin Avenue parking lot was given to the town of Princeton by Princeton University in 2014, as part of their voluntary contributions to support the town. It has not been an ‘official’ parking lot since the hospital was torn down to build the AvalonBay apartments, which have their own parking deck on Henry Avenue. Municipal vehicles have been stored at the site, however, and some drivers have also been taking advantage of the free parking. Although local residents have petitioned the town to have the parking lot turned into a proper park, for recreation, the site has long been included among sites for future affordable housing construction. At present, no plans exist for this affordable housing, so Council considered the option to ‘monetize’ the site by charging people to park there. When affordable housing construction starts, the parking lot will close. Council President Jenny Crumiller was not impressed with the plan, as she believes that once the site is dedicated as an official parking lot, it will be hard to ever take the parking away again. “I think you’re setting yourself up for a hard situation in two years”, Crumiller said. Instead, she would like the site to be temporarily used for something else with a community benefit, such as a winter ice rink, murals, or a ‘tiny house demonstration project’. Council member Leticia Fraga suggested a Farmer’s Market or dog park, but noted that any such use would likely require the town to spend money to improve the site. Council Member Tim Quinn was more optimistic about the idea of using the site for car parking. He pointed out that there is a perception of a lack of employee parking in Princeton – despite a recent consultants’ report that showed the town has an excess of parking. Quinn observed that discussions over adding bike lanes on Wiggins Street and Hamilton Avenue have brought protests from local employers about the potential loss of seventeen on-street parking spaces. Reiterating the long-term plan to use the site for affordable housing, he supported the concept of temporary paid parking. In public comment, Alvin McGowen, Chair of the Princeton Affordable Housing Board, also expressed concern that allowing parking on the site may make it more difficult to add affordable housing there in future. Former Princeton Borough Mayor Yina Moore had the same concern, and questioned whether more parking was necessary, when the AvalonBay parking deck is just one block away and has abundant parking. Despite these concerns, the consensus on Council was to advance the plan for temporary use of the Franklin Avenue lot as a site for paid parking. The town will allow employees to purchase daily parking using a smartphone ‘app’, potentially starting as soon as October. Mayor Lempert encouraged Princeton Community Housing to place a banner saying ‘Affordable Housing Coming Soon’, so nobody has any doubts about the long-term plan for the site. View slides from the August 28 parking presentation at the municipal website here. This entry was posted in planning, Princeton, Smart Growth, The Parking Question and tagged Affordable housing, Parking, Princeton. Bookmark the permalink. Affordable Housing is really a basic need of low budget single families.